Zen, Meditation and Hypnotherapy: Irrelevant Zen! That is where I am. That is what I am. Imaginary It has to be I am in my mind, as my mind.... .All is imaginary. Whether that is true or not is irrelevant. So I seek truth, but need to drop the seeking. So one thinks he has discovered something that is true. So what? If God is there, or God is not there -- so what? He is there to the degree he is not! It's always been the way it is, and always will be the way it is... but will be? What am I saying? Knowing it intellectually is irrelevant! Believing it is irrelevant. Knowing it experientially is profound and then... irrelevant if one begins to believe! 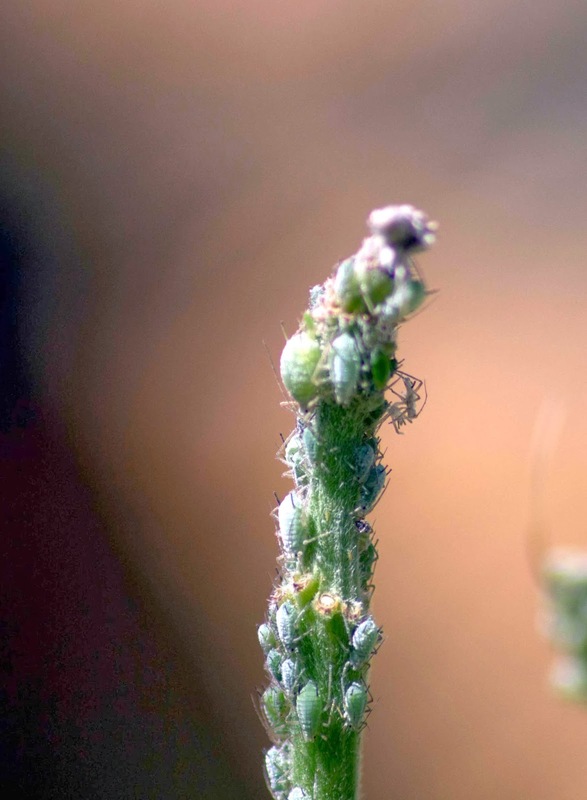 The aphids strip the plant of its life-force.... It is natural.